Answers to 7 Little Words Daily Puzzles of December 6, 2018, are given below. Check solved answers for Clue Words “like Bullwinkle’s friend, child spoiler, often and river in southeastern France etc. Today’s solutions are given in the blue color below. Clues are listed in Red Color. 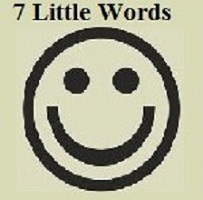 To check more previous solutions of 7 Little Words Daily Puzzles Click here.